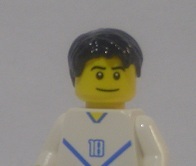 As we are an AFOL (Adult Fans of LEGO) Group, we do set an minimum age of 18. If you'd like to join, or just check out one of our meetings, please email us at slug_regina.sk@hotmail.com Check out some of our current members! I got my first set, the Universal Building Set 722 (www.brickset.com/detail/?Set=722-1) when I was six, and I've been building ever since. LEGO® has influenced me so much that I have a career designing truck equipment. My theme of choice is TECHNIC with some POWER FUNCTIONS thrown in. I guess you could say I'm a "gear" head. Since joining the club, I've started dabbling in CITY ... with some POWER FUNCTIONS thrown in. I started building when I was six or seven years old. I began with the Fire House 6385 (www.brickset.com/detail/?set=6385-1) and Mobile Police Truck 6450 (www.brickset.com/detail/?Set=6450-1 ) sets. They were both very fun and I really took to the CITY series. I spent most of my childhood building, creating and playing. I took a small break during highschool, but after graduating I got my first job and my collection grew greatly. Soon after I was able to get my first TRAIN set. That quickly became my favourite. I have been taking part in our layouts at the train shows for several years now and love it. My favourite themes are TRAIN , CITY and CREATOR. Some other themes that have peaked my interest are CASTLE and MODEL TEAM . I have been building for as long as I can remember. My building began with SPACE themes in the 80's and continued into various CITY themes. I have dabbled with ADVENTURE, STAR WARS and CASTLE themes from time to time, but once I found my way to the TRAIN series of sets, my building area grew, as did my desire to share what I was doing with others. I participated in two shows before the group formed, and have been involved with SLUG ever since. I am convinced that working with other Adult builders has enhanced my own building style and has challenged me to think and build outside of the box / brick. I also enjoy taking part in online building contests which continually test my abilities and make me to try my best. The first set I ever owned was either Castle 6075 (www.brickset.com/detail/?Set=6075-2), the unnamed 1968 (www.brickset.com/detail/?Set=1968-1) or Turbo Racer 6502 (www.brickset.com/detail/?Set=6502-1). Whatever that first childhood set was, I was hooked! After an eight year hiatus during high school and university my interest in building was reignited. Now my favorite themes are CITY and TRAIN . I first participated in the 2010 Thunder Creek Model Train Show and have been involved with SLUG ever since. My first set was the Helicopter Transport 6328 (www.brickset.com/sets/6328-1/Helicopter-Transport ) and expanded into the CITY theme at a very young age. I was also interested in Lionel and HO scale models trains, so I started saving my money for LEGO®Trains. The Cargo Train 4512 ( www.brickset.com/sets/4512-1/Cargo-Train ) was my first TRAIN set and I began collection all the 90’s-era trains that I could. My collection has grown a great deal since then. I have also built many 1:40 scale Saskatchewan Landmarks including the Saskatoon Traffic Bridge, the Poplar River Saskpower Station and a Grain elevator. I've built with LEGO® for as long as I can remember. I started seriously collecting when I received several TRAIN sets and track from my parents. I've expanded into the Modular Building series, as well as a bit of the CASTLE and CREATOR themes. For several years Andre and I did the Saskatoon train show together, and then we were approached by SLUG! I've been a member of the group every since. As far back as I can remember I built my own creations from LEGO®. The bricks were put away for a long time, but came out of storage a few years ago. Since then, I have mainly been building TECHNIC models (sometimes motorized). I also like large-scale vehicles and the occasional vignette. Remember, you don't just have to build what's on the box! I participated in my first SLUG event in 2011. A while back I came across a copy of Brick Journal at the bookstore which rekindled for me an interest in the magic of LEGO®. As a child my family would travel to Germany to visit our relatives every few years, and the highlight of the trip for me was the one set I was allowed to purchase. If I had only managed to hang on to them in their original packaging! These days I build when time and space allow me, mostly Steampunk creations and SPEED CHAMPIONS. The first set I can remember is the Slick Racer 6546 (www.brickset.com/sets/6546-1/Slick-Racer). I began building CITY creations until coming across a garage sale where I found different pirate pieces. This set me down a historical path and, after getting King's Castle Seige 7094 (http://www.brickset.com/sets/7094-1/King-s-Castle-Siege) I fell in love with the CASTLE theme. Although I would consider CASTLE my primary building interest, I enjoy building in other themes. I am known in the group for making fragile, unsteady builds, but I enjoy pushing the boundaries of the brick. My first set was Mobile Rocket Launcher 462 (www.brickset.com/detail/?Set=462-1) in 1980 when I was seven years old. Back then it was just one of many toys and I didn't see the inherent possibilities beyond the basic build. Then in 2008 my seven year old got his first set: Police Helicopter 7741 (www.brickset.com/detail/?Set=7741-1). Helping him build that rekindled my appreciation for how simple, yet incredibly useful, the system is. 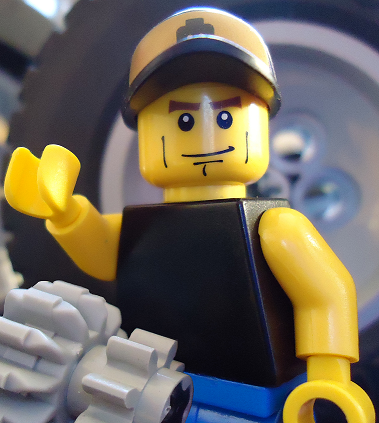 I found myself buying him LEGO® at regular intervals and the more I helped him build, the more I found myself tinkering with bricks on my own. Then I was buying sets specifically for me. The online community of builders blew my mind. Some of the most creative art I've ever seen is found within the AFOL community. I want to fulfill my need to "create" by attempting to at least approach their level of proficiency and skill. I have a long way to go. I started into LEGO® when I was about 25 when my kids started playing with it. I tell everybody now that they grew up and I didn't. I love building TECHNIC sets and everything I build is like McDonalds... SUPERSIZED! Very few of my builds stay original after the initial build. If it came with single steering and tandem drive wheels, it now has tandem steering and a tri-drive rear. My Crawler Crane 8288 (http://brickset.com/sets/8288-1/Crawler-Crane) has tracks twice as big as original and all 3 booms are 8 inches longer. 3 Semi's I have built have 72 wheels under each trailer and are 3'-5' long. I am now branching out to the Arctic Series to get all of it. I joined SLUG in 2012, being by far the oldest in the group, and enjoy our meetings and shows. I started with LEGO® when my Grandpa got me my first Duplo set, in 1975. The first real set I remember getting was the Space Cruiser 487 (http://www.brickset.com/detail/?Set=487-1), in 1978. During my teen years my involvement faded, until the UFO series was introduced in 1997 (http://www.brickset.com/browse/themes/?theme=Space&subtheme=UFO). My favourite series are CITY fire fighting, TRAIN and the MiniFigs. I also enjoy building TECHNIC sets along with Ultimate Collectors sets. I didn’t have any LEGO® as a child, but every now and then my older brother would let me play with him and his SPACE sets. I re-introduced myself to building with the introduction of the Harry Potter sets in conjunction with the motion pictures. I bought several sets for my young daughters. We also enjoyed several of the BELVILLE and ORIENT EXPEDITION sets. I found I ended up enjoying building the sets while my daughters preferred playing with them once they were built. Their interest tapered off as they got older and when we moved out of the city, it all ended up in a tote in the storage room. A few years back while looking for gifts for my son I came across the Winter Village collection and ordered them to include with my annual Christmas home décor. Building them together each year is a fun tradition I started with my children (toddlers to teenagers). It re-sparked my interest in building but I also found I had a desire to learn new building techniques and start designing my own creations with the parts I have from old sets. I hope to build my collection share the techniques I learn with my young children because I think that having a vision, designing and creating it is a tool that will be very functional later in life. I was very happy to find and join SLUG so that I can find inspiration and learn new things! I received my first SPACE set when I was 4 years old. Most of my childhood was spent constructing SPACE , CITY , TECHNIC, and CASTLE until around my teens. It seems light years away from where I am now. I love the CITY sets, and have the makings of my very own city coming along slowly but surely. Some of the new themes like STAR WARS, NINJAGO (my son loves this one), CHIMA, and the SUPER HEROES collections take me back to building my own versions of movies and TV collectibles. Inspiration can come from different places or people. I began learning the 7 inner-most secrets in 1977 at the age of 7 with the 850-1 Forklift (www.brickset.com/sets/850-1/Fork-Lift-Truck), & 851-1 Tractor (www.brickset.com/sets/851-1/Tractor)- both of which came to me near the winter Solstice of the year. By the rising of Ostara my resources were strengthened by the 870-1 4.5V Electric Power Pack (www.brickset.com/sets/870-1/Technical-Motor-4-5-V) & 871-1 Expert Builder/Gear Parts (www.brickset.com/sets/871-1/Supplementary-Set). Those seeds sank roots which anchored an ever deepening sacred library while my most mystic mechanisms were formed in those young years. Through the interceding decades I have both discovered secret wonders and wandered through dark periods to arrive where I am. Since 2012CE, my path has been restored before me and the great solutions are becoming clearer to me. I feel as though the tools I need are nearly whole yet some part of me knows that the building process may never be complete. If you’re reading this now, then I’m likely already too late. Humanity has reached it’s final days. Your best hope is to spend the remaining time building. The remaining steps in my plan include building a sufficiently complete and organized bank of elements that I can survive the End of Days safely isolated in the corner of my nursing home building, in my blindness, my own Paradise Bubble. May LEGO® Save Us All. 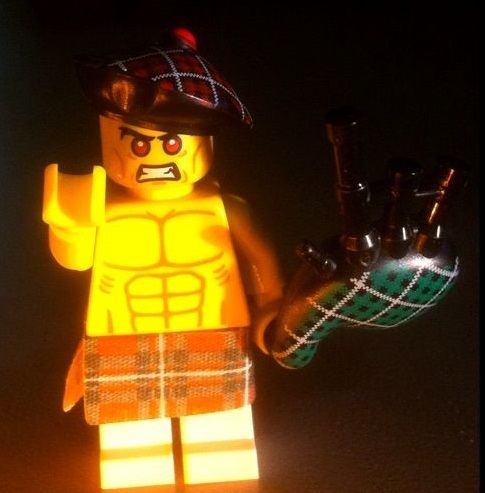 I have always collected or played with LEGO®. The last 4 years I have been playing around with instagram taking toy photos, which sort of got me back into playing with the bricks I have. But once I got into playing Minecraft I realized I missed the tactile end of playing with bricks. So I have been creating funny pictures and building crazy stuff ever since. 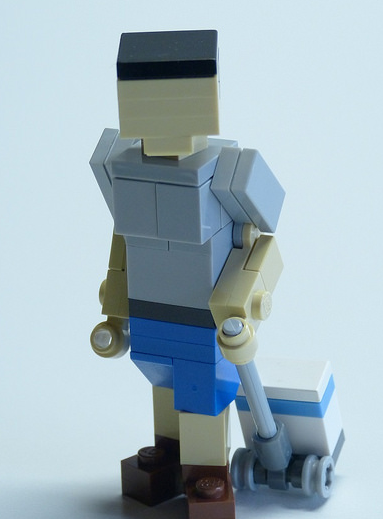 Growing up in the 1970s, I had just one small ice cream bucket of LEGO® - enough roof, door and window pieces to build a little house, so it was never much of a childhood activity for me. When the Harry Potter sets came out I pined over them, but thought "I'm a grown-up, why would I buy LEGO®?" My husband Jeff still had his original 375/6075 Castle, a couple classic space sets, enough loose bricks to make a MOC of his workplace, and he was buying random bags of the new series of MiniFigs, but otherwise we never played with LEGO®. 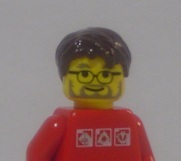 That all changed in 2012 when I saw an advertisement for a LEGO® show in Moose Jaw and thought Jeff would enjoy it. Little did I know that would be the start of an expensive but rewarding obsession! After attending the first ever BRICKSPO , Jeff and I began acquiring as much LEGO® as possible. I fell in love with the Monster Fighter series and found following instructions to be meditative and relaxing during a very stressful time. I compulsively researched everything LEGO® and learned building techniques until I felt confident enough to put a couple of small builds into shows. 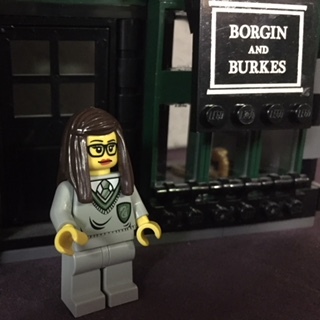 I lucked into a deal for most of the original Harry Potter sets and have come to embrace that LEGO® is indeed for adults. I'm eagerly awaiting the 2018 Harry Potter sets and I am always on the lookout for any sailing ship sets - to pick up the ones I regret missing out on. Between two of us, a few hundred tubs of LEGO® have taken over both our basement and living room and we fight over space to build huge MOC layouts. We rarely fight over the bricks as we each like to work in our own distinctive colour palates. I've realized my building style leans towards fussy, detailed interiors and large layouts, but I continue to be inspired by the variety of builds found on Pinterest and other LEGO® sites. I try to challenge my self to build with motors, landscaping details like rock work and other techniques. My goal is to one day build all my MOCs so I can put them on the table straight out of the box, and not spend hours setting up on site at a show. My favorite builds I've done so far are the Detective Agency from the TV series Angel (BRICKSPO 2014), the final battle at Hogwarts (BRICKSPO 2016), the Steampunk Carnival (BRICKSPO 2017) and Hogsmeade in the 2018 collaborative SLUG build. For me, being a member of SLUG is about more than just creating art with LEGO® - it is about fellowship, friendship, serving on the Board as Treasurer, and giving back to the community. Tim creates mosaic art pieces using LEGO® elements. Check out his information and work at the link below. My favourite set that I owned as kid was Tri-star Voyager 6846 (http://brickset.com/sets/6846-1/Tri-Star-Voyager). It was a blue and white space set (Benny would be proud) it separated into two pieces as if when together it was meant for interplanetary travel and the smaller break off shuttle was for surface exploration. It was a simple little build and very playable. I always loved LEGO® but as time went by I all but stopped building. In the early 2000's, Nathan Proudlove re-introduced me to my love of LEGO® but as circumstances had it, I did not fully re-engage or begin to build (rebuild) my collection. After I moved halfway across the country, from B.C. to Saskatchewan, I began to build with Chris Ursu’s collection on occasion. He soon had me convinced to join SLUG and build MOCs. I now regularly refer to myself as a LEGO® geek and enjoy trying all types of build though I think I may be finding my niche in sculptures and micro-scale buildings. I've been building since I was a toddler in the 1980's, starting with Duplo and then system bricks after that. I suppose it was a pretty popular toy in Europe where I was born. My first sets were some of the early CITY sets; I remember a red house that was hinged so that it could open up. I also built with a lot of SPACE sets. I remember the Blacktron series fondly. I recall visiting relatives in the Netherlands when I was about 11 and begging my dad for the MODEL TEAM truck (but he got me the Formula 1 race car). Sometime in my late teens, I stopped building (my dark ages) but returned to set building when the first UCS T.I.E. Interceptor (brickset.com/sets/7181-1/TIE-Interceptor) was released in the year 2000. As a STAR WARS fan, I continued to buy the UCS sets, though during grad school (when I was really poor) I lapsed in the collection. The UCS Super Star Destroyer (brickset.com/sets/10221-1/Super-Star-Destroyer) rekindled my interest and I started collecting all of the A.F.O.L. sets, including the UCS sets I missed, the modular buildings, and the Creator Expert architectural models. My first MOC (since I was a teenager) was a 4-foot square mosaic of Darth Vader built on nine XL baseplates. I came by this by accident - one of my hobbies is graphic art, and I happened to be working on a picture of Darth Vader that lended itself perfectly to being built out of Lego plates. At the time, I did not know anyone did art with the bricks, nor had I ever seen a LEGO® mosaic, so I (mistakenly - lol) thought I was being quite innovative. In fact, the nine plates sat in a closet for over a year until I saw my first mosaic on The Brothers Brick blog, and I contacted the artist to ask how he would recommend mounting them. Currently, I continue building sets and working on large scale mosaics, hoping one day to own a space large enough to start experimenting with three-dimensional builds. When I was in elementary school, I used to build quite frequently. My brother and I would dump our collection on the living room floor and then spend an entire Saturday building. When I got into high school, I got busy and reading/writing became more of a hobby and passion than building. After I got married, it was clear that my husband had not lost his passion for LEGO®. Christopher joined SLUG at its beginning and I finally decided to join in 2015 after finally admitting that I was ending up in the LEGO® room often enough to warrant it. My love of building is a bit different than his; Christopher seems to have something on the go nearly all the time, whereas I only build when inspired, usually by a competition, a theme, or something he is building. 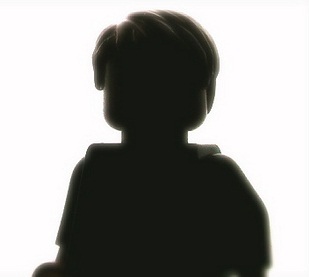 I love BRICKSPO because of the freedom it provides; if you can build it…the sky is the limit. I also love the Estevan Craft Show, partly because it’s in Estevan, but mostly because it is centered on Christmas, and that is definitely inspiration for me. 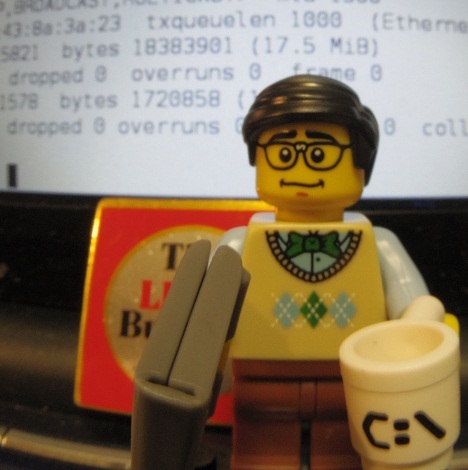 I did play with LEGO® as a child but it wasn't as prevalent as it was for some of my other peers. However, at one point as an adult I needed a surgery and had an extended amount of time off with nothing to do to keep me busy. My husband picked up a couple of CREATOR sets and I completely fell in love with them and thus started the obsession! After building the smaller CREATOR sets I started purchasing the Modular Building series. These are still my favorite to this day. I love how detailed these get in such small spaces which appeals to the creative side of me. I like participating in SLUG because they inspire new ideas and I've even started to design some of my own. My favorite thing to build is busy, active street scenes. I enjoy putting little stories in my builds. LEGO® has been my favorite hobby since I was a little kid. It was the best toy for me to copy and simulate my Dad`s career as an architect. From there I started to hear "like father like son" from my family and friends and it became my official LEGO® building theme. I am charmed by the ARCHITECTURE builds, especially the residential ones with fully detailed interiors. The LEGO® world combined all my hobbies and skills: drawings, designing, crafting, and building. Fortunately I discovered SLUG and am so grateful for their support and encouragement. I am blessed to have found a group who really appreciates and values my builds. LEGO® is one of the first toys I remember receiving and playing with. Growing up, it was a regular Christmas and birthday gift, though for the most part, all I did was build the kits and play with them. That changed when I visited my older cousin and he showed me his ability to make anything he wanted out of the LEGO® available. Soon, I had a large box of assembled Classic CLASSIC SPACE, and I would dump it out on the floor (to the chagrin of my mother) and pretend all the little space figurines were marooned on an alien planet and had to build the things they needed to survive, starting with bulldozers to move the LEGO® around and finishing with large warships to fend off the assaulting aliens. LEGO® took a back seat for my high school and later years, though I often purchased smaller sets when I saw them because they looked cool. Eventually I met some of the members of SLUG and was amazed at what they were able to create. I now have all my LEGO® organized in my basement as I try to learn the techniques required to build the cool creations modern LEGO® builders make. 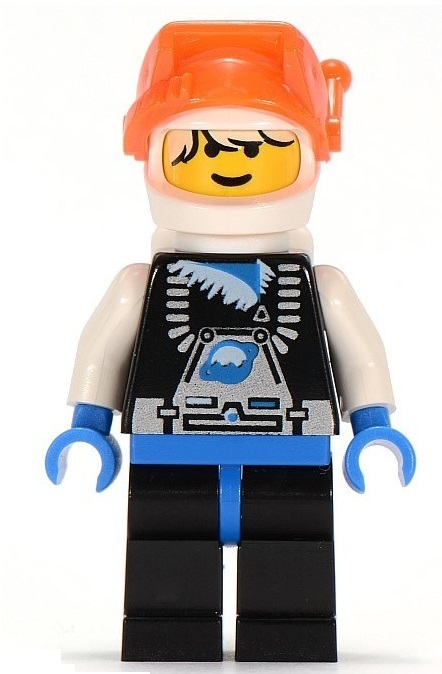 (https://brickset.com/sets/6973-1/Deep-Freeze-Defender) My favorite theme is Classic SPACE (especially Ice Planet. Get REKT BlackTron!) I also enjoy the ARCHITECTURE theme, and micro-scale building. I am also a huge fan of Vic-Viper style MOCs. I am glad to be a part of SLUG. You never know what people will come up with next! I’ve built/played with LEGO® from ever since I was a kid. Eldorado Fortress 6276 (https://brickset.com/sets/6276-1/Eldorado-Fortress) is one of the first set’s I had as a kid. I’ve enjoyed PIRATES sets ever since, I’ve developed an interest in STAR WARS sets and themes like Pirates of the Caribbean. I haven’t adventured in to custom builds yet but am looking forward to. I’m a fan of all sports, Football (Raiders, Bombers), Soccer (Tottenham Hotspur, Toronto FC), Baseball (Blue Jays), Hockey (Flames), Lacrosse (Rush) MMA (BJ Penn, Anderson Silva), Aussie Rules Football (North Melbourne Kangaroos). I hope to build and display some team logo’s, stadiums, maybe some ARCHITECTURE or modular builds and see where things go from there. 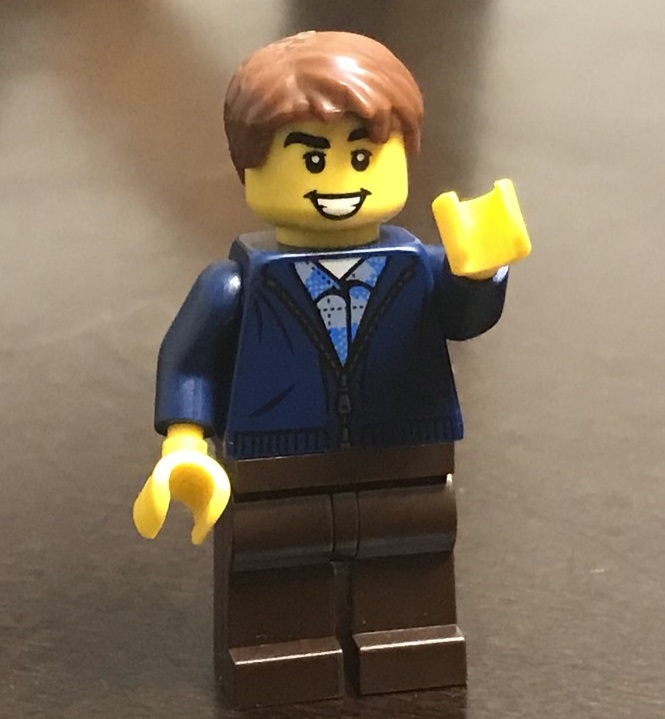 My wife is Melissa Meyer and I knew we were a perfect match and that we would build our lives together when I proposed with a ring I made of LEGO® and she didn’t run away. That led to a LEGO® themed wedding in 2012 and our LEGO® obsession developing from there. We have a young daughter who is also developing her interest in LEGO® slowly. I hadn't even looked at LEGO® since I was a child until I bought a MINDSTORMS kit in 2012 for my husband - then the storm began. He started, from that, to resurrect his own childhood love for it and it has been an ever-growing presence for both of us in our home since. Since he joined SLUG in 2013, I too have helped host meetings, set up and clean up after many LEGO® shows, and am recently getting drawn into building for myself. It's great to have a creative outlet I can share with him; A family that builds together, stays together! My LEGO® building as a child ended somewhere in the mid-1980s and remained largely abandoned until 2016 when my son was a toddler. For the most part, my interests are in the Modular Building series, as well as the ARCHITECTURE series and Harry Potter theme. After building extensively for two years and developing my skills, I had my first solo LEGO® exhibition at the Godfrey Dean Art Gallery (Yorkton) in Summer 2018. I was tasked with recreating four historical local buildings out of LEGO® in varying scales, the largest being a 6300 piece replica of an early 1900s Canadian Pacific Railway station. Although I continue to explore architectural and modular building I am keen to explore microscale builds. 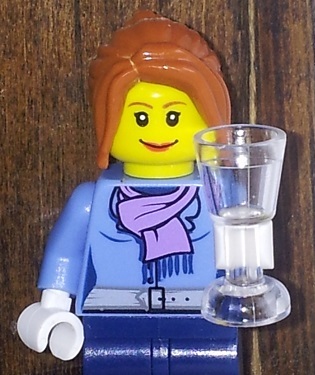 You may find some of my builds in LEGO® Ideas platform/contests under the username, kellyrev. I’m fairly new to the AFOL life. My first set was Darth Maul’s Sith Infiltrator 7961 (https://brickset.com/sets/7961-1/Darth-Maul-s-Sith-Infiltrator), which my wife bought me as a Christmas gift in 2012 after she caught me ogling her brothers collection of pirate ships. My collection is focused on STAR WARS, PIRATES, and CHRISTMAS, but I am ready to set out into the world of MOCs. 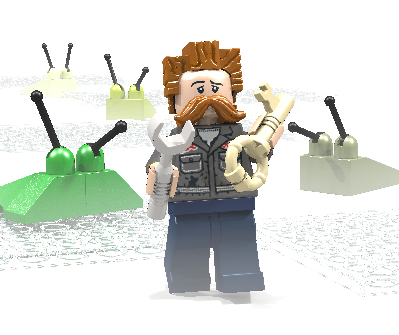 LEGO® brings me joy, I don’t know how else to say it. Everything from buying, to building, to researching, heck even the sorting is just happiness for me. 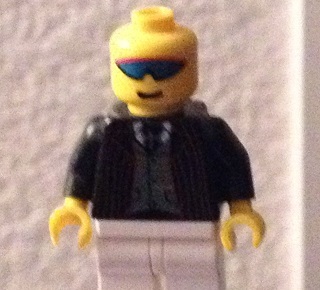 I find the LEGO® community to be such an amazing positive place and am very exited to be a new member of a LUG. I am currently in the process of building my collection of miscellaneous bricks for MOCs, and am very excited to connect and learn with other AFOLs who share my enthusiasm for ABS building elements! Our group has had a number of people in it over the years, and some have left us for various reasons. These people have made a considerable contribution to our group. A long time ago in a galaxy far, far away (1999-Vancouver, BC) lived a young man who, when confronted with the sudden appearance of officially licensed STAR WARS sets on the shelf of his local Zellers, eschewed all other hobbies to embrace the unique world of the adult fan of LEGO. Though merely a padawan collector for several years, eventually he discovered others who shared his love of the brick and shortly thereafter was fully immersed into a culture of conventions, LEGO® Users Groups (LUGs), websites (Lugnet, brickshelf, peeron) and wacky acronyms that should never, ever be used in public (MOC, SNOT, BURP, LURP, POOP etc) Initially Nathan, for that is indeed the young man's name, was only interested in building spaceships, but quickly branched out into all areas of the craft, building TRAIN , CASTLE , CITY themed creations, mecha and even dabbled in the strange world of TECHNIC from time to time. He still maintains a nostalgic love for the old classic SPACE sets of the eighties, his favourite being the Starfleet Voyager 6929 (http://www.brickset.com/detail/?Set=6929-1), though his love of STAR WARS has waned considerably (one word- midochlorians). Nathan joined SLUG in 2011 and looks forward to every show and every meeting. Ley's interest in LEGO® started in 1970 and while it lapsed for a twenty-some year dark age, he kept several builds intact and spent the past decade or so catching up. Now he builds whatever he wants to and will expend a considerable effort to create a sight gag or illustrate a pun. 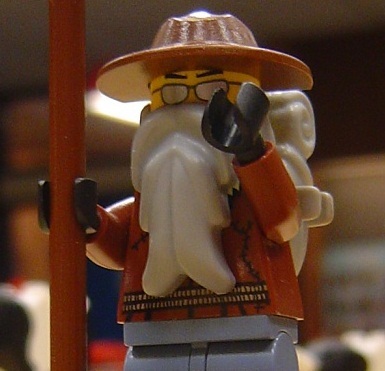 While occasionally being mistaken for a member of ZZ Top, he has been referred to as the 'Yoda' of the hobby. There is no try. Build you must. Chris' love of the bricks began with his stays in the hospital. He was given sets during these extended stays which seemed to peak his building interest. He joined SLUG in the summer of 2012 and quickly became a key member of our group. His enjoyment and enthusiasm for the brick was evident in each meeting and event we held. Though he gravitated more to TECHNIC sets, he began dabbling in other styles and themes during his time with the group. Chris passed away in the spring of 2014 at far-too-young an age. As a tribute to Chris, we have renamed our SLUG Cup in his honour. The first official awarding of the Chris Workman Memorial Cup was at BRICKSPO 2014. We will miss Chris' light and spirit, but most of all his friendship. The SLUG has been invited to work together with local organizations through various shows and programs. We are pleased to partner with these groups to showcase our craft and share our love of the brick.